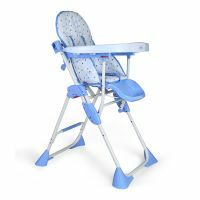 This baby high chair comfy blue makes mealtime a breeze for your baby, because baby is so comfortable with this chair. 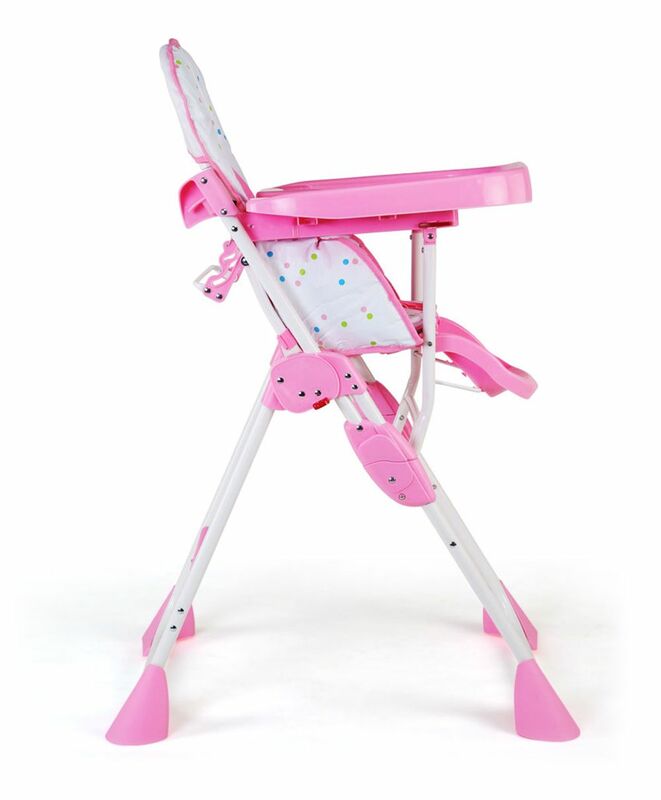 Multiple seat positions and height adjustments let the high chair with baby and it folds for easy storage. It is a perfect buy for your baby. 18116 This baby high chair comfy blue makes mealtime a breeze for your baby, because baby is so comfortable with this chair. 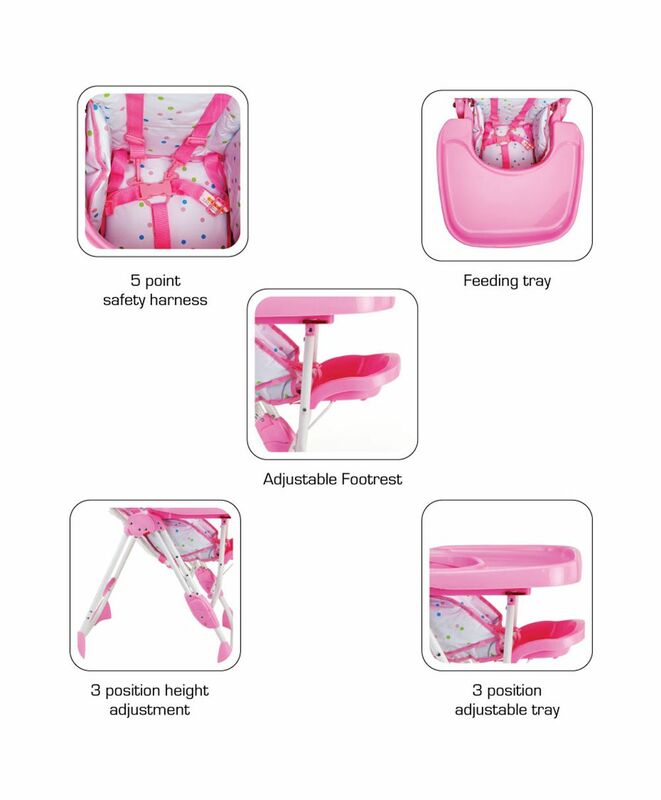 Multiple seat positions and height adjustments let the high chair with baby and it folds for easy storage. It is a perfect buy for your baby. 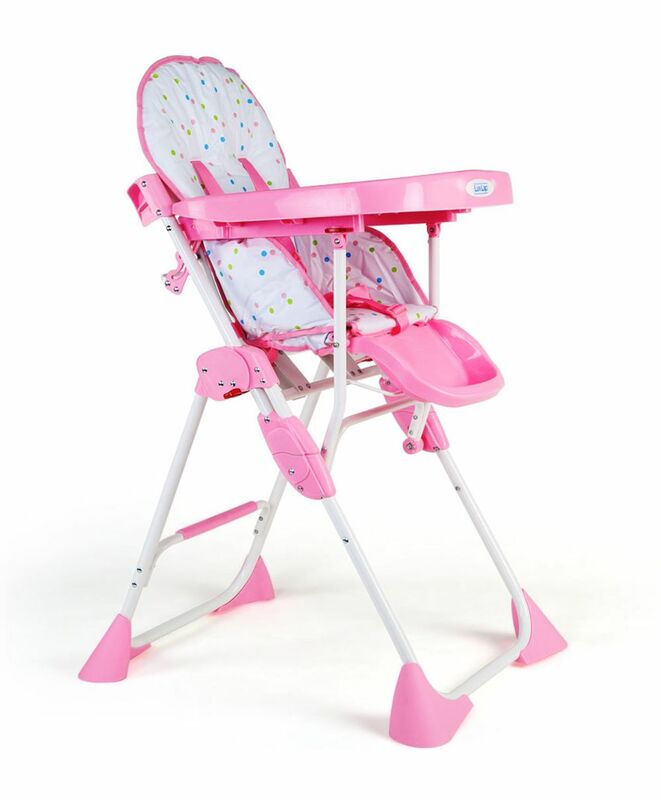 Luvlap comfy baby high chair lets your baby enjoy meals with family. The cool blue coloured high chair features removable and dishwasher safe tray for table feeding. The high chair is adjustable to different height positions to suit growing needs while the 3-position recline provides relaxing moments. It comes with an adjustable foot rest which is easy to open and close and a 5-point safety harness to prevent accidental harm to baby. It is compact in size and can be easily folded for storage convenience. 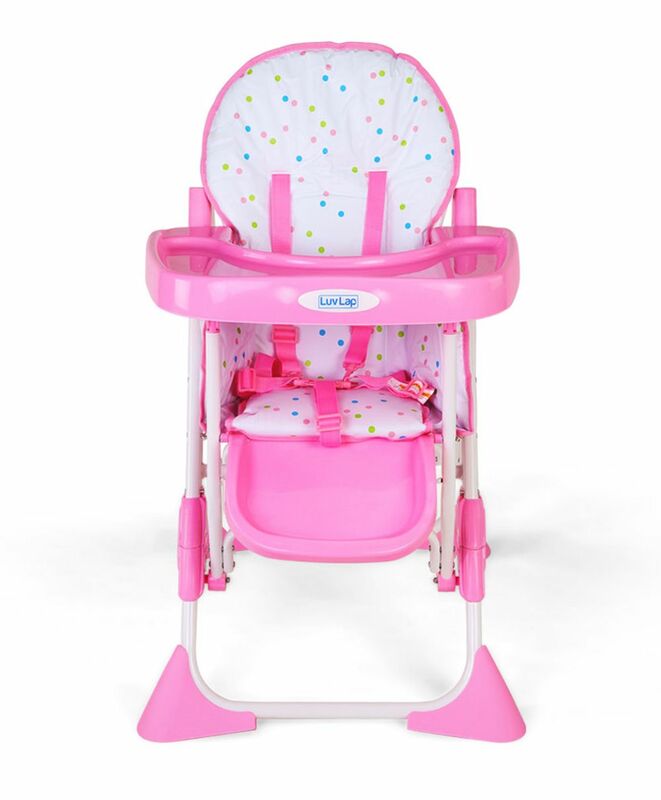 To Recieve updates and possible rewards for Luv Lap Luv Lap Baby Comfy High Chair (Pink) please sign in. To Recieve updates and possible rewards for High Chairs please sign in.